Yesterday I had a privilege of photographing Jessica and Ryan's wedding in beautiful Sonoma county vineyard. What a perfect setting for a wedding! The whole show was run very smoothly by Jenny from Jennilynnevents. This is just a quick peek from over 2 thousand photos from the wedding. The groom, who is a professional photographer, saw my work in 2005 and was very impressed by it. So when he was getting married, I was his choice to photograph the wedding! To him, photography was very important during wedding. So we scheduled lots of time for it. As you can see the results, we succeeded. I would like to thank Amy Monroe from Ritz Carlton in Half Moon Bay for her help in making everything run smoothly and on time. Huge thank you for celebrity make up artist extraordinaire Alexis Vogel for making my job easy on the wedding day. Big thanks to hair stylist Michelle Vanderhule for her exceptional work. It was a pleasure to photograph clients Ann and Paul at their recent wedding. Taking place at San Francisco City Hall, there were two rooms where the wedding took place- the signing ceremony was in supervisor Scott Wiener’s chamber, and the actual wedding ceremony was in the Supervisors Chamber. City Hall weddings are very popular right now, and while there, I saw at least 15 other wedding parties! You have to reserve two appointments to get married at City Hall, one to obtain a marriage license, and one for the actual ceremony. These appointments can be scheduled on the same day or two different days. If scheduled on the same day, make sure to reserve your appointment to obtain a marriage license at least an hour before the actual ceremony as to ensure enough time. Appointments for marriage licenses and ceremonies and can be made up to 90 days in advance, and ceremonies can be booked Monday-Friday from 10:00 am to 3:30 pm. These reservations can be made online or in person at City Hall. One witness (no more than two) if presenting a public marriage license. No witness is required if presenting a confidential marriage license. There are a few beautiful locations in City Hall where you can have your marriage ceremony. The Rotunda or a private room comes with no extra charge, limit to six guests (including a witness and a photographer), and 10 minuets for the ceremony. City Hall does not allow you to reserve the Rotunda because there is no guarantee you will be able to use it for your ceremony. The 4th Floor and Mayor’s Balcony are more private, allow up to 100 guests, and 1 hour for the ceremony, but with a charge of about $1,000. The Big Day! I DO!!! 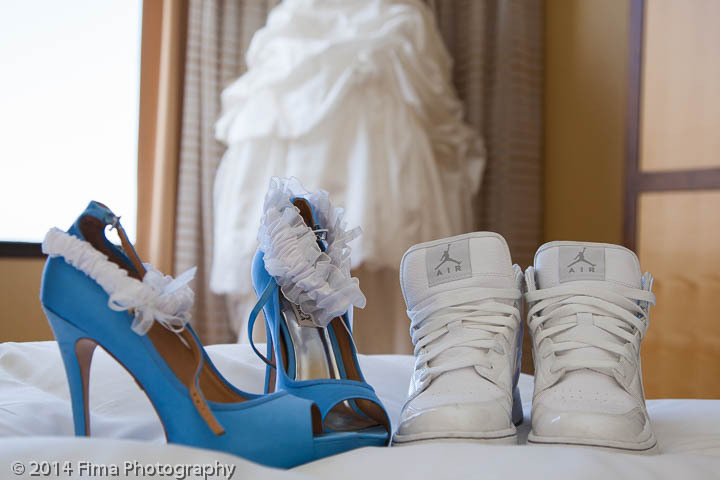 A wedding is something that happens once in a lifetime, so being able to photograph a wedding is very special. The bride, Kristina, was so elegant and graceful and the groom, Michael, so handsome and anxious both of them ready to say I Do and start their lives together. 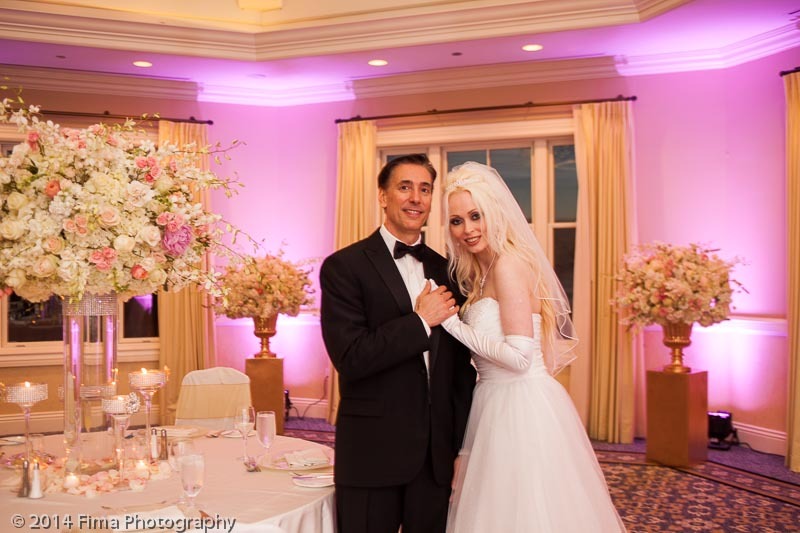 The bride and groom got ready for the wedding at the Fairmont Hotel, ceremony took place at the Russian Orthodox Church and the reception was at Olympic Club.